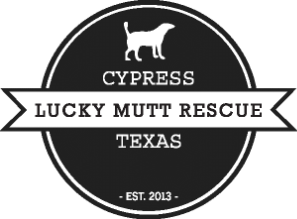 Every Saturday, Cypress Lucky Mutt Rescue holds adoptions at the PetSmart in Cypress. Volunteers, fosters and pups are there from 11-3PM*. *Please note, on very rare occasions, we sometimes either do not have enough volunteers to staff the event or even enough pups ready for adoption. We are so excited to announce that we have teamed up with PetSupermarket in Fairfield for our adoption events. If you have not been there before, they are amazing and so helpful! We will have our puppies there this Saturday from 11:00 to 3:00 so stop by and see us. We will still have adults at the PetSmart located on the same day and times.